This success story is well depicted in the movie ‘The Social Network’. On grabbing it at Majestic Plaza, I thought it was just another campaign against the sexual network, which am no longer part of, but am glad it never was. 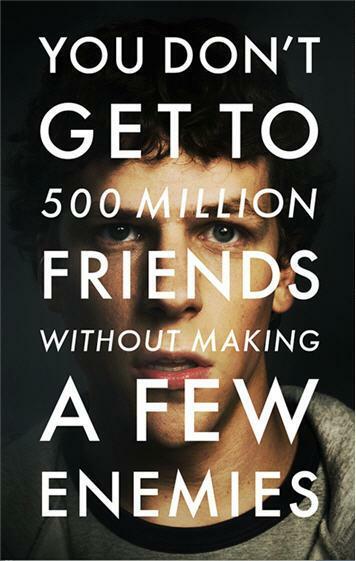 In a nutshell, the movie is a captivating drama about a youngster (Mark Zuckerberg) who develops facemash.com while drunk after a break up with his date. The website then attracts an impressive 22,000 hits, within two hours, which push the Harvard network to the verge of crushing. The site is hence shut down and Mark is put on a six months academic probation. He then gets to meet the Winklevoss twins who are impressed with his work. They disclose to him their idea to create a social website exclusive for Harvard students and request him to work for them which he pretends to do until he launches Facebook. As the story unfolds, some key decisions are taken. It’s my pleasure to expound the business sense in those decisions. Own the idea and apply it. I presume that Mark resented the Winklevoss twins who, in a matter of time, were to be his boss. The quest for wealth demands ownership at all cost. The challenge therefore is how good you can be at converting your ideas into businesses. Having the idea on paper is definitely not the ultimate thing. Can you risk starting up? You don’t need to be a son of the soil in Uganda to note that most folks here are risk averse relative to others in the region. A turn – around on this attitude would be for you to determine what you are willing to lose. When you go fishing, you can either catch a big fish or a lot of mukene (small fish). The co – founders of facebook created a website that was exclusive to the user unlike their competitor MySpace. Initially, it was exclusive for only Harvard students. On their expansion phase, they targeted universities that did not have a social network. You are probably not going to invent a plane or a rocket. All you need to do is to try something new. A few months after launch, the website attracts a formidable amount of traffic as well as subscribers. One of the co – founders, Eduardo Saverin, then suggests that they should monetize the site. The suggestion is however highly disputed by the co – founders. The ultimate goal to venturing in business is definitely to make profits which will then improve the owners’ holdings. When you start up, this goal has to be foregone for a better customer experience that is likely to yield more referrals and repeat business as well. What could be better than free advertising? A mentor is invariably vital in your start up’s success. Preferably, look for a mentor of experience in the field that you intend to venture. One huge merit of a mentor is that you are likely not to make the small silly mistakes that you may be accustomed to yet in the long run are quite costly. Funny enough, the co – founders seek for the greatest hacker in a battle for the fittest where they (interns) have to hack and gulp a cupful of wine in unison every three minutes. As the plot progresses they turn out to be so resourceful as they spend mounds of programming time at the facebook premises and are hilariously said to be ‘wired in’. Without a doubt, facebook is the undisputed social network. Today Mark Zuckerberg’s stake in facebook is over US$13 billion. He was a hunter and gatherer like most of us. Let’s say ‘No more to hunting and gathering’. Paul very deep yet clear article- one day ur gonna be a top finance columnist.